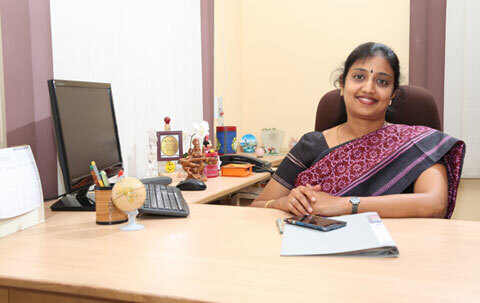 The world of happy learning, Nurturing the minds to blossom with the great qualities of knowledge, concentration, creativity, talents, values, ethics, life skills to enhance the maximum potential of a future kid and moulding up to a best citizen by focusing on giving the unique and best schooling experience in Coimbatore city, is the mission of Einstein educational institutions. To provide a stimulating learning environment with a technological orientation across the whole curriculum, which maximises the individual potential and ensures students of all ability levels are well equipped to meet the challenges of education, work and life. The learning process at Einstein Public School is made simple, enjoyable and effective to all types of learners providing them the adequate methodology in teaching process. Group learning and individual learning strategies are implemented. The technological support facilitates visual learning modules. The experimental learning approach adds much support to the kinaesthetic skill development. The learning modules focuses on helping every child actualise her /his excellence towards the holistic and value based education. My vision as an academician is to provide a stimulating learning environment with a technological orientation across the whole curriculum. Hence, I would like to take schooling as my career by further extending the service to the society where I can provide maximum learning facilities for my students at a higher level. Being an empowered woman and who believes that the future of our nations growth can happen only by empowering the women, we have decided to give oppurtunities to maximum women in teaching field as per their talents and skills. In the highly cultured Indian society, I regard myself as a responsible citizen to serve my society through nurturing and inspiring the young minds. I am passionate towards educating, and grooming the students into the future agile citizens.